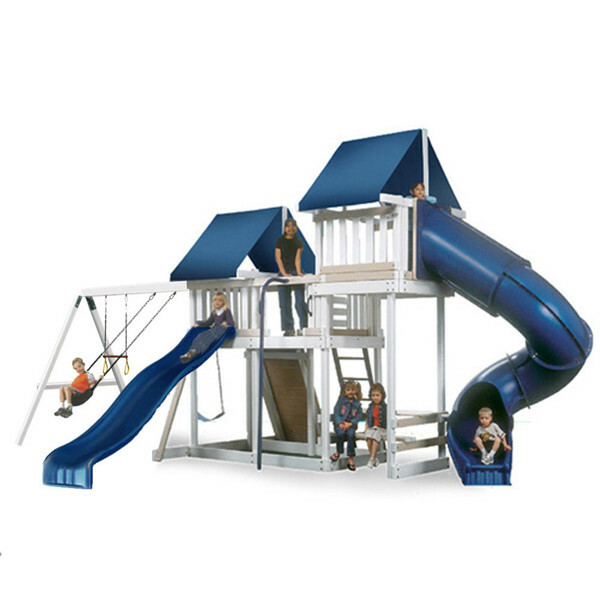 This fun playset takes outdoor play to a whole new level, 2 levels actually. 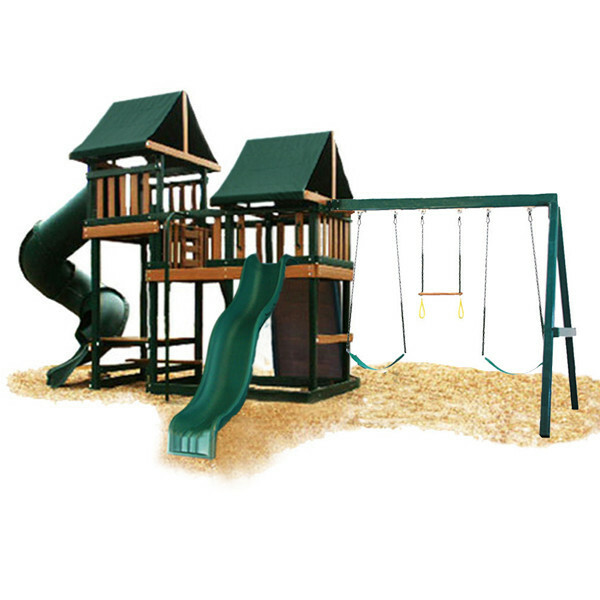 The Congo Monkey Playsystem III not only has 4 feet by 7 feet play fort it also has a turbo tower at an even higher level for more adventure. After climbing to new heights on the tower kids can come whizzing down the turbo tube slide that twists and turns. Other swing set features include a wave slide, climbing rock wall, and sand box. The swing bar has spots for 2 regular swings and a trapeze bar. There will be more fun for the whole family since this playset is constructed of maintenance free materials that do not require a lot of time and up-keep. 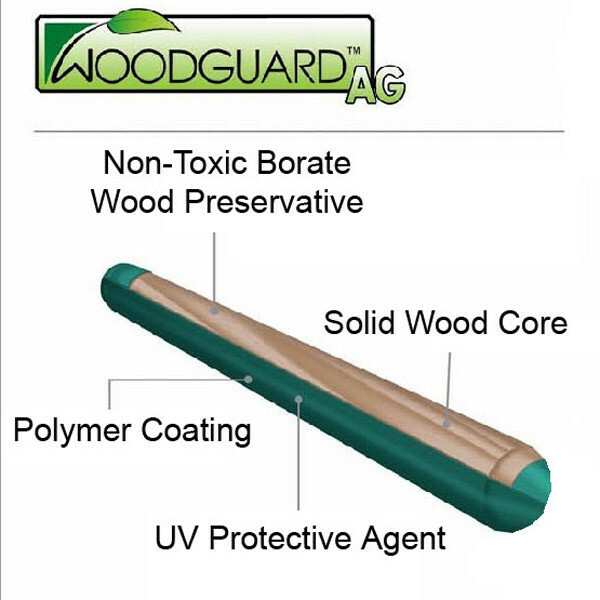 The Woodguard lumber is polymer coated so it does not need to be stained or painted and always stays free of splinters, chips, cracks, and fading. The whole package comes pre-drilled and pre-cut so assembly is easy using the included step-by-step instructions. 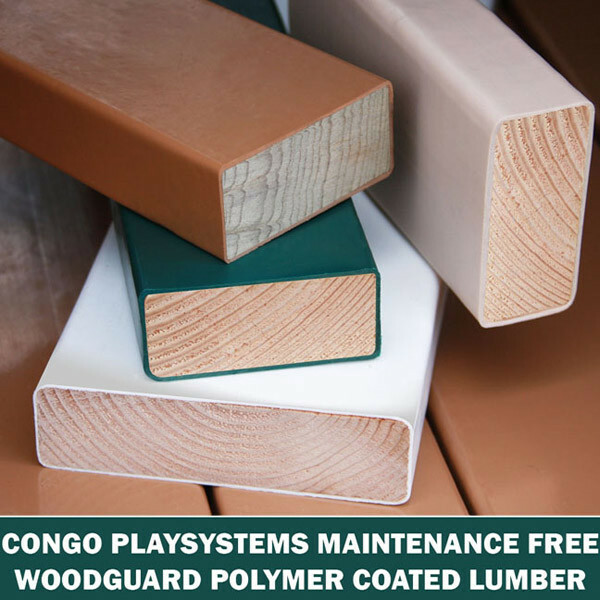 Choose from either cedar and green or white and sand for the color of your Congo playsystem.